We’re talking mental stress, so let’s start with a Stoicism joke, shall we? What did the Stoic sage say about email security? If you are reading this, you care about your appearance. The level of your interest to look good, though, is relative. Today, we simply want to help you find more peace in your fashion journey. Life is stressful enough, right? 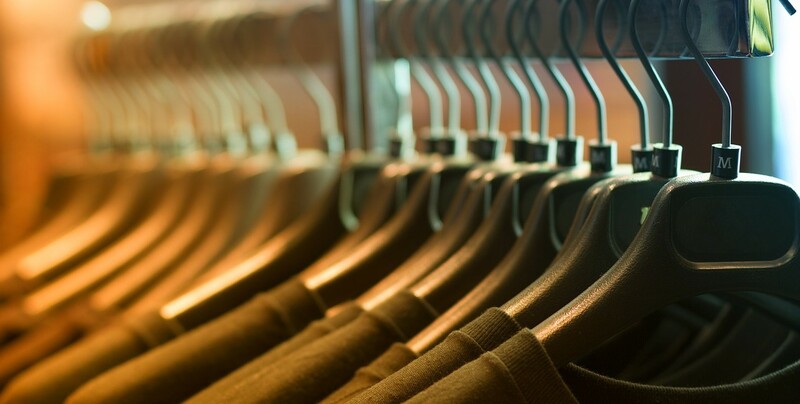 Simplifying your wardrobe can make your daily style choices easier to make. Be sure to define your look. When you inventory your wardrobe, make sure you make a clear decision on every item. Remember, how you feel inside dictates how you truly look on the outside. What does a person who has experienced great change in life do when the person wants to feel calmer? Why, the person usually looks to simplify things! We have all been there. Whether you are getting over a break-up, starting a new job, or mourning the death of a loved one, your mind is busy. You are questioning all sorts of things. All in an effort to make sense of what has seemingly happened to you. In moments like these, we try to focus on what we can control. Mind you, such focus is healthy, as long as you are aware of what you truly control. If you take anything away from this article, know that dressing well can help you feel good about yourself. At some point though, you have to be able to feel good without external help. Today’s advice is aimed more at your brain, not your closet. One great place to simplify for guys like us is our wardrobe. You may not realize it, but think about how you feel when you prepare to get dressed for work. Is it a peaceful experience? Be honest, do you find excitement in deciding what you are going to wear? If you are anything like me, the thoughts can plague you daily. For years, I have struggled with figuring out what to wear. Even when I wore big t-shirts, baggy jeans, and a fresh pair of kicks, anxiety hovered. You see, when you are concerned with what others think, like me, you are susceptible to undue stress. My answer to this problem is to exceed expectations. In most instances, I succeed. Sometimes, I fall flat. Today is the day where you can change everything for the better. Eminem isn’t the only person who can clean out his closet. Here are five steps to freeing your mind with a leaner closet. In order to get your wardrobe slim and trim, you have to know your style preference. Let’s be honest: you enjoy dressing a certain way 80% of the time. It is only right that you keep quality staple items for that look. Now this article is to help you quell your anxiety about your clothing options. There are ways to keep things fresh. You do not need to wear your clothes the same way every time. We tell you all the time here to play with mixing patterns, colors, and the like. Always keep this in mind. Restrictions are where creativity blossoms. C’mon yo, these are not the best reasons, especially if it is simply just taking space. There is no point in the “just in case” moments. This is a great time to share a quick rule that you can use to help break free of the handcuffs of poor clothing choices. Hat tip to the minimalists, Joshua Fields Milburn and Ryan Nicodemus. In their book, Essentials, they tested a theory for things that they kept “just in case.” They monitored how many times they had to replace these items. When they did, they never had to pay more than $20 or go farther than 20 minutes from where they were located. Even then, between the two of them, they only replaced “just in case” items five times between the two of them. This is a simple way to approach your shed work. If you haven’t worn the item within the last 12 months, sell, donate, or dump it. It does not matter how much you paid for it. You can likely get a cheaper version of it should you feel the need to wear it again. More than likely, you will not want it. Another benefit to this process is that you make room for the items you really want. That leads us to the next rule we find handy. Once you get your wardrobe slim and trim, you want to keep it that way. Don’t be the Oprah* of clothes hoarding. One day you’ve got the most svelte wardrobe, only for you to regain all the clothes you dumped plus more in a matter of month. The easiest way to do this is going by “one in, one out.” It is pretty simple. You do not add a new piece to your wardrobe without getting rid of something already in your closet or dresser. Preferably you are replacing the item with another similar in nature. Do not get rid of socks just to get another pair of denim. C’mon yo, we know you barely wash what you have. That’s gross, mate. Drop a pair at the Goodwill. The universe will thank you. For those who ask, “what if I really need it?” That is a personal issue. It must be treated on a case-by-case basis. If you are still building out your wardrobe, “one in, one out” does not make sense. Instead you need to spend time getting your wardrobe to 80% complete, then carefully add appropriate pieces to the mix. “One in, one out” works if you have an abundance of a certain item. For instance, I am the sock king. Can’t a being on the planet mess with my sock game. I constantly cycle through socks. I prefer to keep things fresh, so I give away pairs when I’ve been wearing them about three months. They’re usually still in great shape, so it is worth donating. If I get even the smallest hole in a sock, it’s gone. Most of you on this site are not flexing Zuckerberg paper. Translation: you are not rich. That means you should also use this wardrobe shedding exercise to establish what items you are missing. Then budget for those items. This is suggested, so that you spend time getting quality items. It does not mean the items need to be expensive, but the pause allows you to make sure you are acquiring a piece you know you will wear for a while. The goal is to get your wardrobe to a good place where you are confident in your ability to dress like you want, day in and day out. After that, you can spend the rest of your brain power on the things that matter more, like family, business, or that freaky unmentionable on your bucket list. And that’s it, people. Five steps to having a minimalist wardrobe fit for a stylish Steve Jobs. Okay, it is better to reference former president Barack Obama. He rocks the same deal every day. Keeps it simple and allows him to shake hands and kiss babies like the GOAT**. * Shout out to Oprah though. She’s still the GOAT. Gain and lose all the weight you want, your highness!